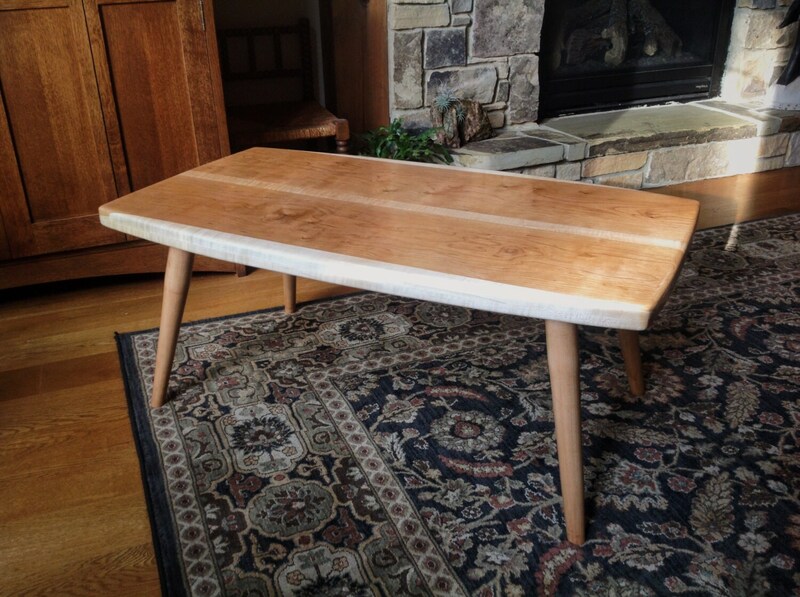 Midcentury Modern Coffee table - Cherry and Curly Maple Wood. 24 x 42, 17-1/2 Tall. Satin Finish. 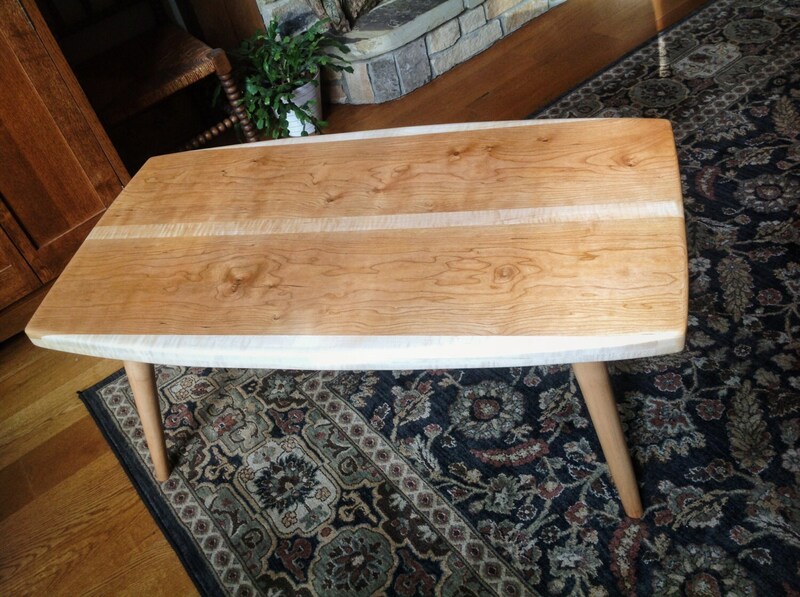 Great midcentury modern style coffee table. 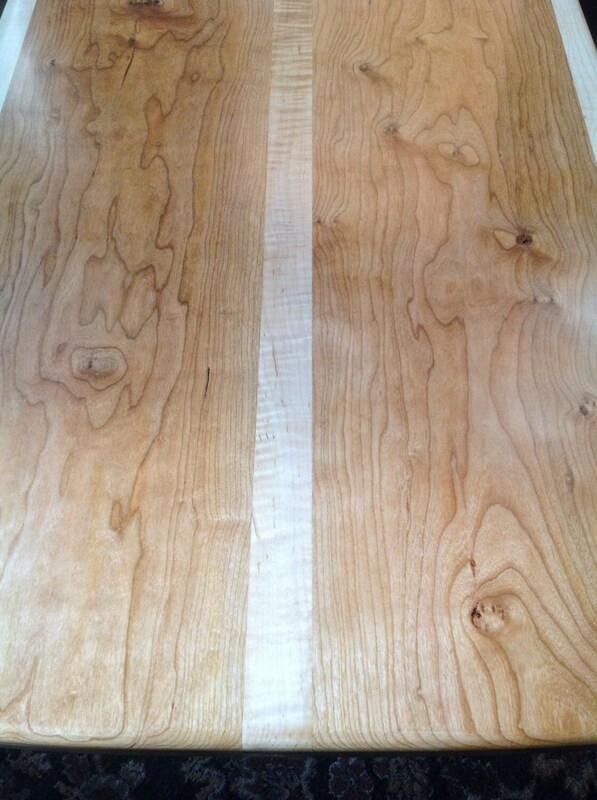 Top is a beautiful cherry with highly figured curly maple accent strip and edges. 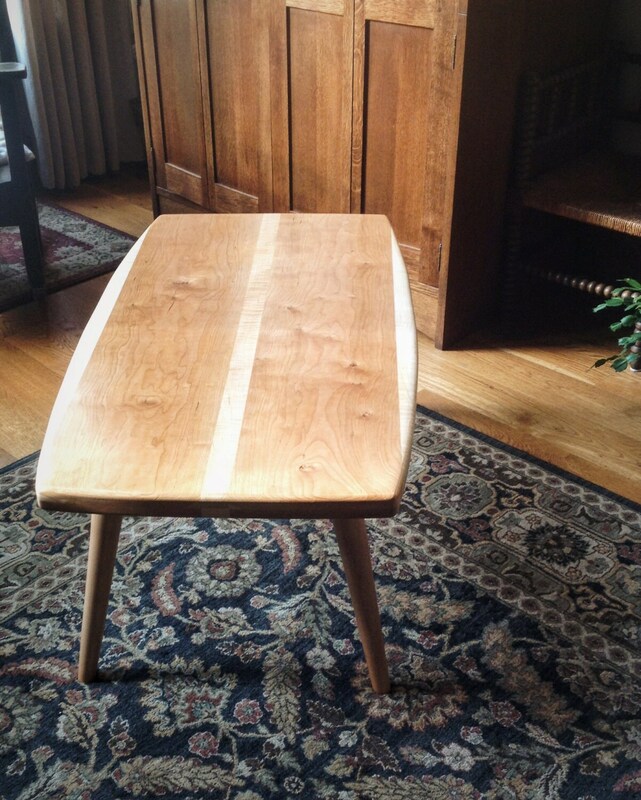 Legs are tapered midcentury style attached with cleats at a slight angle, made of solid cherry. 24 x 42, 17-1/2 high (can be cut down as low as 14). 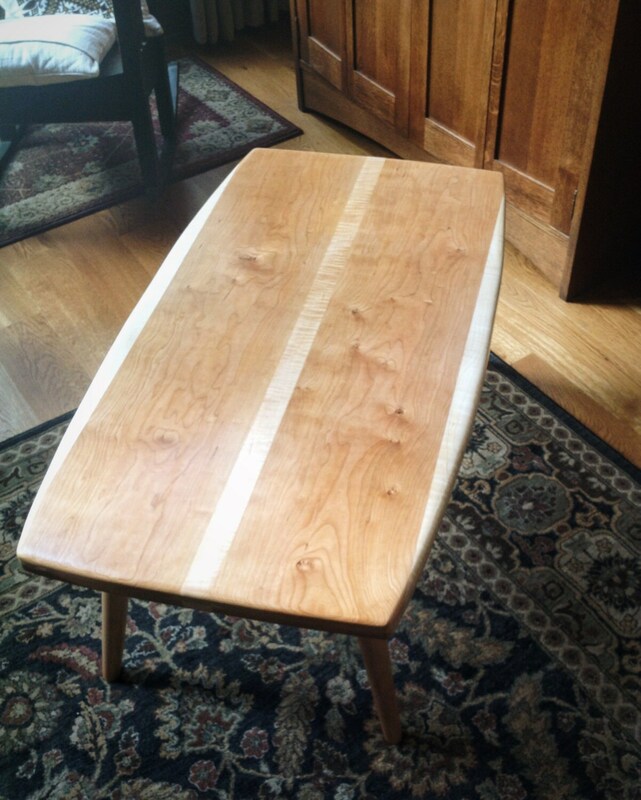 Finished with five coats of satin polyurethane. Local pickup available in or around Charlotte, NC.